NuLife Institute delivers outstanding results to each and every client. All because of our elite Hormone Therapy & Age Management Specialists, Physicians and Medical Staff. Medical Director – Dr. Luis Dominguez, D.O. For the last 17 years, Dr. Luis Dominguez has been using his unique, customized approach to help thousands of patients turn back the clock on aging and enjoy their lives on a whole new level. Working on the forefront of integrative medicine, Dr. Dominguez is constantly mastering new solutions for anti-aging and age management. He combines his personal approach with the latest advancements in technology & medical science for impressive results. 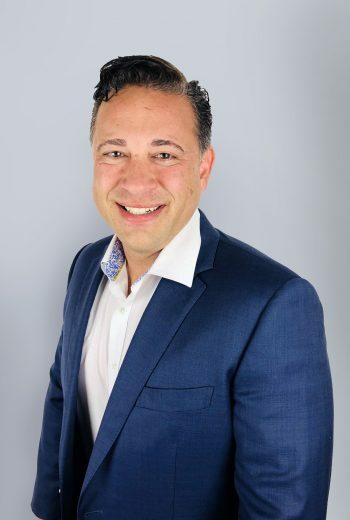 Dr. Dominguez has worked extensively with Platelet-Rich Plasma (PRP) Therapy, Stem Cell Therapy, and Sexual Health solutions—but his primary focus has always been on the incredible power of Hormone Replacement Therapy (HRT). Since he’s not just a doctor but also a patient, Dr. Dominguez has seen the results firsthand and can vouch for them personally. He knows the struggles men & women go through as we age—and how NuLife Institute can help you overcome them. And it all comes back to his dedicated, one-on-one approach. “That’s what I believe in, what I stand behind, and what I deliver to my patients every day.” Dr. Dominguez is certified by the American Academy for Anti-Aging Medicine (A4M) with a fellowship in Integrative Cancer Therapy through A4M. Michael completed his Master of Physician Assistant Studies in 2008 from the University of Nebraska. Before obtaining his Physician Assistant certification, he served proudly as an Army Ranger achieving the rank of Captain before retiring. Michael joined the Army soon after graduating from high school. He served brilliantly and moved up the ranks quickly. Michael started out as a Medic then was able to become a Physician Assistant. Through several deployments and successful missions, Michael received many awards and decorations, including 2 Bronze Stars. Michael’s military experience means he knows the value of peak performance and teamwork. Combine that with his medical knowledge and passion for patient care, and he is an invaluable addition to NULIFE Institute. Michael will be working closely with helping patients to be their best at any age. Michael practices what he preaches, and in his mid-40’s, he is still in “combat shape.” He enjoys competitive motorsports, thanks to his commitment to fitness and belief in Age Management Medicine. He brings that commitment to excellence and passion for performance to everything he does. His 5-star personality makes patients feel like they are part of the team. Michael will offer his expertise in age management treatments such as sexual performance, hormone therapy, and aesthetics. Michael is a pioneer in the use of ESWT therapy for both men and women. He has developed protocols for sexual performance as well as orthopedic rehabilitation and prevention. Michael has been dedicating himself to helping men and females to be healthier, happier and have more vigor in their lives. Michael is the creator of the NEWWAVE treatment, the one of the only drug-free, surgery-free male enhancement procedure that not only provides effective treatment for erectile dysfunction but increases performance and reliability in all men. It is also an excellent treatment for the prevention of erectile dysfunction. Michael has also worked extensively with orthopedic injuries and has protocols for these injuries also. 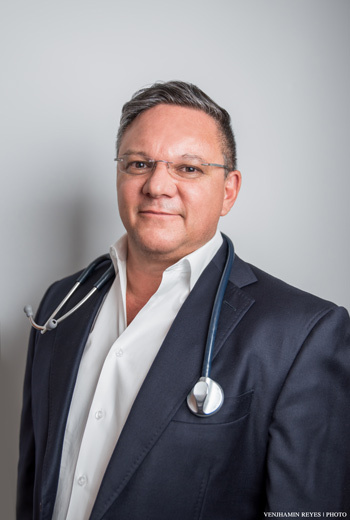 Michael has trained over 60 physicians nationwide in the use and administration of ESWT therapy and Platelet Rich Plasma and continues to guide them when they have questions and complicated cases. Monika Arenas is a licensed and Registered Dietitian, NASM certified personal trainer, author, and creator of Feed Me Health. She graduated from Florida International University in 2012 with a BS in Dietetics & Nutrition after completing a 1200-hour comprehensive internship in two hospitals and an eating disorder treatment center. Monika is a current PUMA sponsored athlete, essential oil educator and YouTube Vlogger. Monika teaches a variety of health modalities ranging from personal and group nutrition and fitness training as well as educational courses on holistic health using essential oils, meditation, and mind-body talks. Her passion is driven by seeing others develop a healthier relationship with themselves, in helping them accomplish their goals while ditching extreme diets, unsustainable regimens, and all-or-nothing mindsets. By combining both her clinical and spiritual practices, Monika works with clients in person or one-on-one all over the world via virtual sessions to create custom nutrition, fitness and lifestyle programs that enable her clients to step into their higher selves thus experiencing incredible mind-body transformations. Born to Colombian parents, Monika is fully bilingual in Spanish and frequently travels to Colombia to educate on health and wellness where she was partially raised. Find her connecting with the South Florida consciousness communities and actively growing and supporting others in the field of health, healing, and self-love.